It was a breakthrough by name, and by nature. By 2013, Carlo Ruetz had been playing twisted technoid minimal for a decade, but it was his debut longplayer of that year – Breakthrough – that launched him into the spotlight. Within 24 hours of its release the album crashed into the top spot of Beatport’s minimal techno chart, and it also caught the discerning ear of Richie Hawtin. Since that unmissable moment, Carlo has only gathered more and more momentum; acclaimed EPs for MINUS, DEEPERFECT and KD MUSIC, alongside memorable performances at international Minus showcases and Richie Hawtin’s essential Ibiza night ENTER. 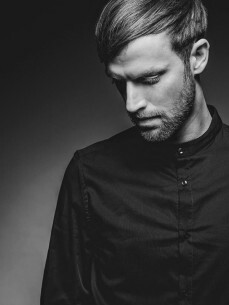 Unique in sound and in situation, Carlo Ruetz is the ‘overnight sensation’ born of ten years in the trenches of the underground.